My son Cody and friends from this weekend at Two Rivers Skate Park in Nashville,TN. Skating to a little music by my band Judas Tree. Daren Strange and Sonreal like this. Anybody out there still living an active life, despite serious injury? You have to keep going, man! 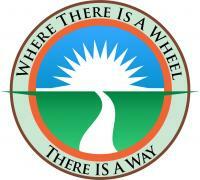 WhereThere IsAWheel updated profile photo.